The latter part of the old saying, I hear and I forget, I see and I know, I do and I understand, is an important component of progressive education, as there is a strong link between hands-on learning and deep learning. To fully grasp the role of heat and pressure in rock formation, the students took bits of shaved wax crayons and forced them together using small presses. This action produce a form which the students identified as sedimentary rock. They then used foil and small heaters to discover how sedimentary rock transforms into metamorphic rock. Based on the exit cards collected by teachers, students were able to demonstrate a "solid" understanding of rock formation. As part of the Grade 8 History curriculum, students study the evolution of Canada's Confederation. Our students engaged in this topic by adopting the perspective of one of the colonies involved in the Confederation debate and used this perspective to think critically about the pros and cons of this important decision. Working with their teammates, students used a variety of historical sources and class activities to examine the key issues relevant to their colony. The Confederation conferences were simulated using a fishbowl discussion, as it created an authentic environment for students to communicate and understand the competing points of view. Each fishbowl discussion contained one participant from each colony, which resulted in lively debate. Students outside the fishbowl offered feedback to the discussion participants. 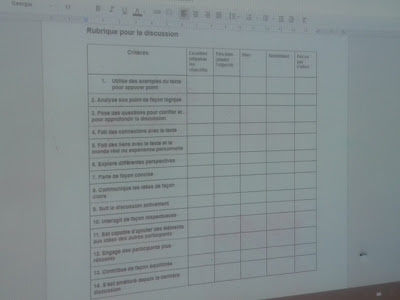 In a debrief, students indicated they like the format of the presentation as they were able to really demonstrate their understanding of the topic and many even said they wished they had more time to discuss and debate! Having students work in small groups not only helps them develop important team-building skills, but it also enables students to share and construct knowledge. Adding a novel, hands-on component to the task deepens engagement and makes learning fun. Students studying Grade 11 Biology had the opportunity to work in this way during a class on genetics. The class was introduced to the concept of inheritance patterns by having them build fictional animals named "Reebops". Students learned how information is passed from one generation to another, and how genes code for physical traits. They also explored how meiosis creates variation between individuals, which is why parents, and offspring have similar traits, but are not identical. As you can see, our students were pleased with their creations! 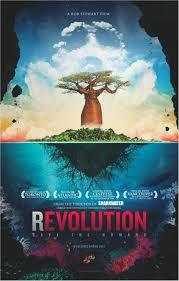 One of the best ways to engage students in learning is through the exploration of relevant issues and ideas. Allowing students opportunities for sustained discussion guided by the use of personal goal setting also enhances student engagement. The Grade 11 FSL class depicted in this entry are exploring global communities, like Canada, that have Francophone cultural roots. 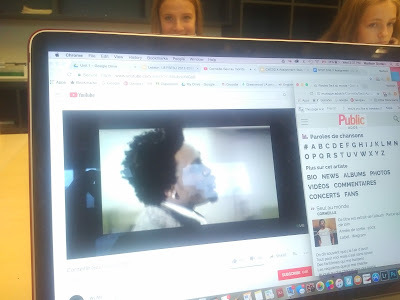 In this instance, students read an article on Rwanda and listened to a song performed by a Rwandan musician who now lives in Montreal. Before initiating the discussion, students set three individual goals to ensure that the discussion remained focused and personalized. 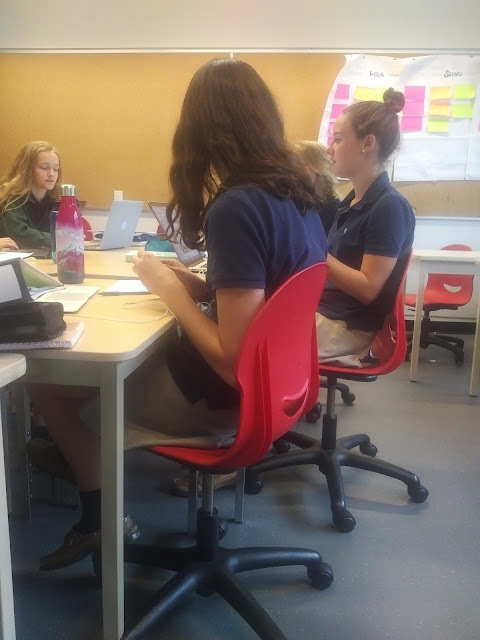 The group used the Harkness Table framework, which encouraged students to take greater ownership of their learning, a desired outcome of engagement. 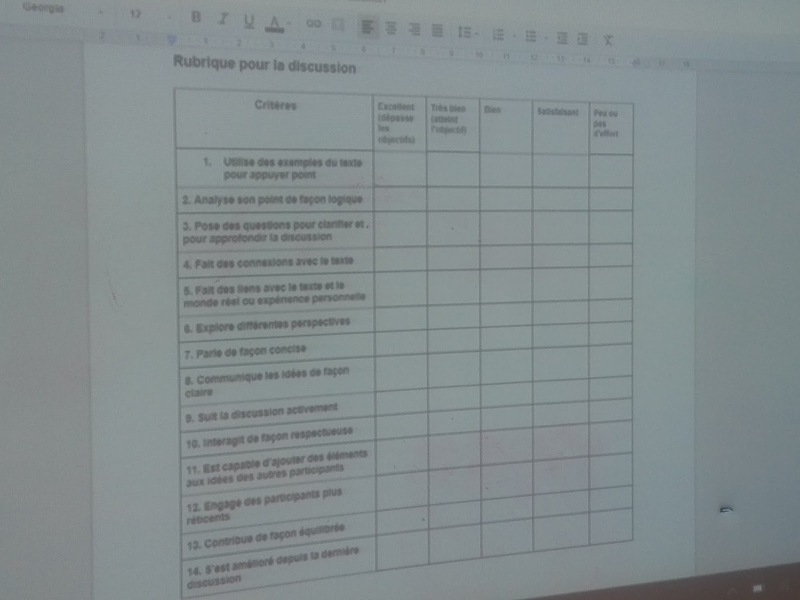 When debriefing the activity, students indicated they really liked the topic, as well as the format of the lesson. to studying World War Two. Interest-based learning is a potent factor in enhancing students’ individual experience during their secondary and postsecondary school careers. 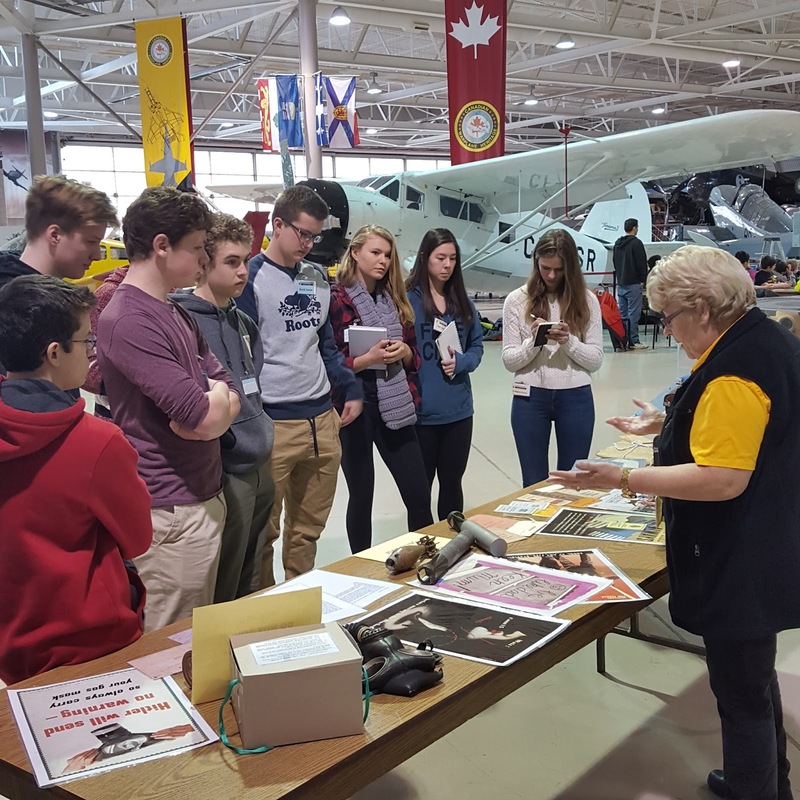 The Grade 10 Canadian history course has been an excellent avenue for students to experience the way that they learn and engage with their history and Canadian identity this year. Through the use of historical thinking skills, including historical significance, historical perspective, continuity and change, ethical dimensions and primary sources, there are limitless ways that students can approach history’s events, people and places. 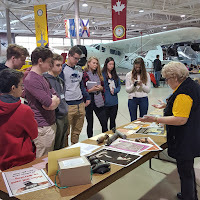 Most recently, while studying Canada’s role in World War Two, students were able to choose specific topics to help gear content towards students’ interests. 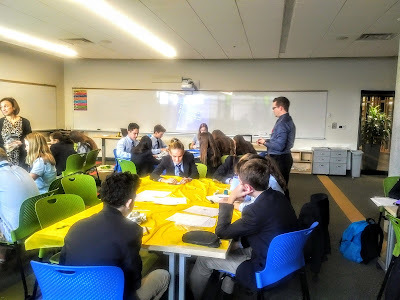 To further individualize experiences, students in each of the streamed topics (Living History, Holocaust or Technology) were able to identify specific events to which they could connect in order to develop a broader understanding of the Second World War. I would like to write briefly about the last point above. It was my experience that through students’ increased level of interest, teachers were able to challenge students to persevere and develop a number of academic skills. 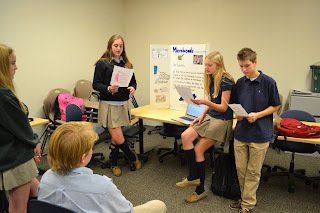 Students persevered through a critical analysis of primary and secondary documents. 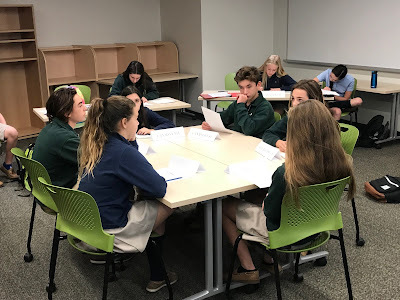 They challenged themselves to research, find and analyze primary historical sources which gave very specific accounts of perspective within each of the events being studied, and to think critically about how these particular stories fit into the global picture of World War Two. 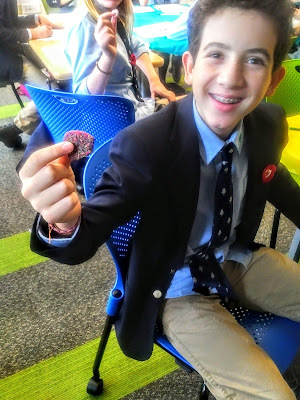 Students in the technology stream were able to choose various pieces of technology and determine how each individual piece of technology impacted the war overall. They chose items like the enigma machine, Alan Turing’s computer, the Spitfire, the Lancaster bomber and the Sherman tank, among others. Present their findings verbally with increased confidence. Teachers agreed that there were some exceptional pieces of work and the consensus is that interest-based learning created a richer environment for students to grow. What did students think about the unit? See some of the feedback below. “I enjoyed being able to explore a path I was interested in and not just what the teacher was teaching. I enjoyed going on a personalized field trip to a place suited to our unit path. 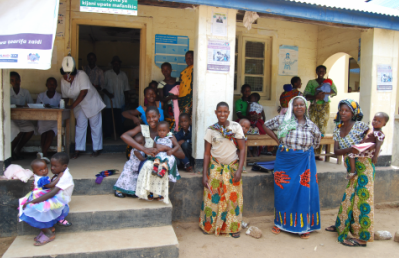 I liked how all the classes learned the same thing, although all in different paths." “I think that I was definitely able to pursue some of my own interests. Through the project, I was able to research a relative. This gave me the chance to know more about my family history." “I think that the historical concepts helped me focus on my research and thoughts because they gave me a sort of guideline that helped me find more research." There were some very good observations made by teachers and some excellent experiences had by students. Moving forward, teachers will be collaborating on how to enrich this unit of study further. real time, as they collect it. 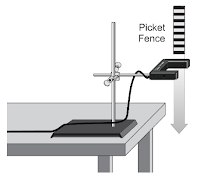 Use of Vernier technology has become widespread in the Science department this year. 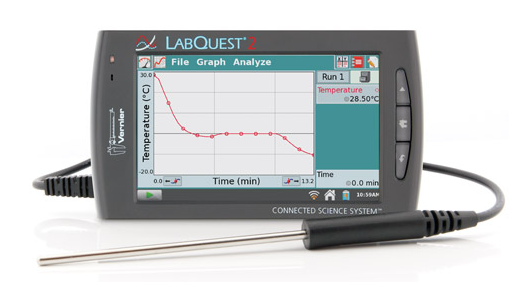 Almost every student in the school has now had an opportunity to experience the LabQuest 2, along with various probes and sensors, in their science classes. Recently, the Grade 12 Chemistry class used the LabQuest with pH probes while conducting a titration to determine the Ksp (solubility product constant) of calcium hydroxide. 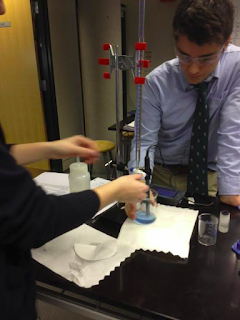 Having performed several titrations in Grade 11, this procedure was fairly routine. 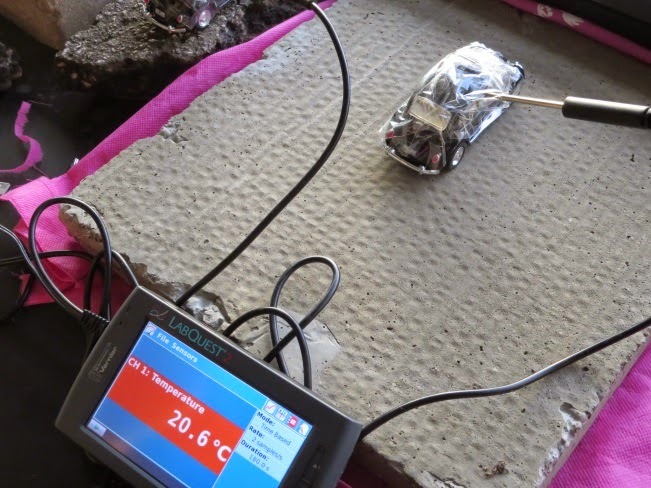 Using this new technology, however, the experiment was really brought to life. With the LabQuest, students could now see their data displayed graphically, in real time, as they were collecting it. There was an immediate shift from students being passive observers to becoming more actively engaged in the experiment. The visual feedback given by the Vernier equipment helped students develop a deeper understanding of the process of titration and made the experimental results more meaningful. Having become comfortable with the method and the technology, this past week Grade 12 Chemistry students used the pH probes to explore buffers. 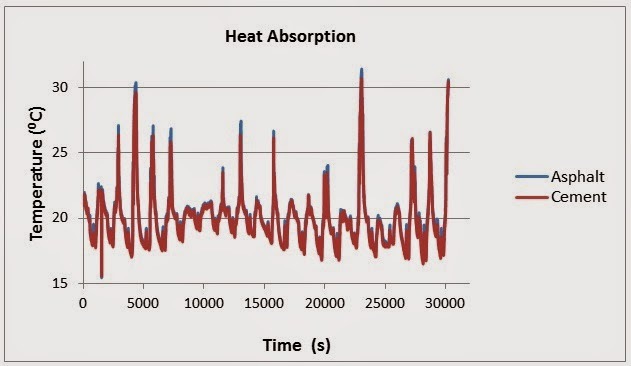 They each designed an experiment to compare the buffering capacity of various beverages (juices or soft drinks) and collected data and compared results using the LabQuest. This activity was a great example of how we can leverage this technology and allow students to personalize their lab experience. 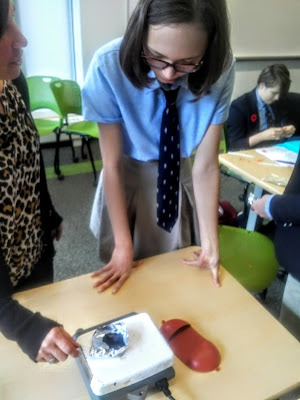 Grade 7 and 8 students learn best through meaningful and rich experiences that connect to real life, incorporate multiple disciplines, give students choice and provide time for experimentation. In June, a diverse group of Grade 7 and 8 teachers met to brainstorm and develop integrated projects to improve how we address these students' needs. 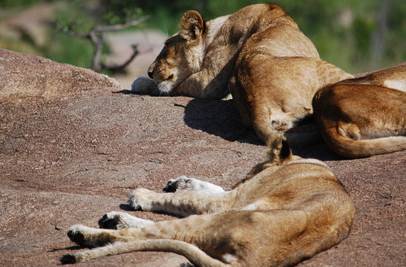 These week-long projects meet expectations for social studies, English, science and math. Each grade will have the opportunity to participate in two projects this year. The first project will run during the school year and the second project will be implemented during the culminating period. Grade 7 - Designing for Disaster: In teams, students will design a device that will help a literary character survive a disaster. 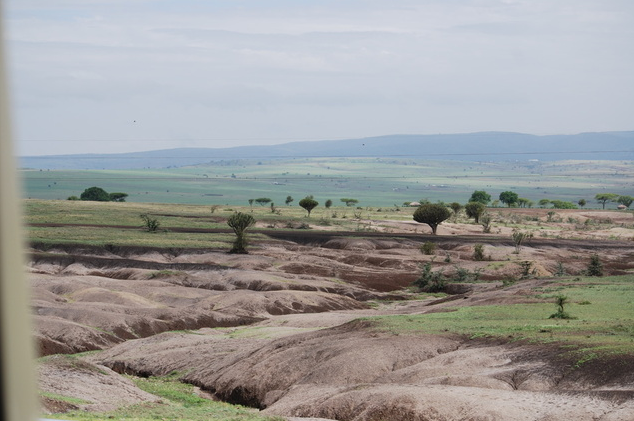 They will need to use their scientific knowledge and understanding of how humans acquire, manage and use natural resources based on their environment to help them achieve their task. 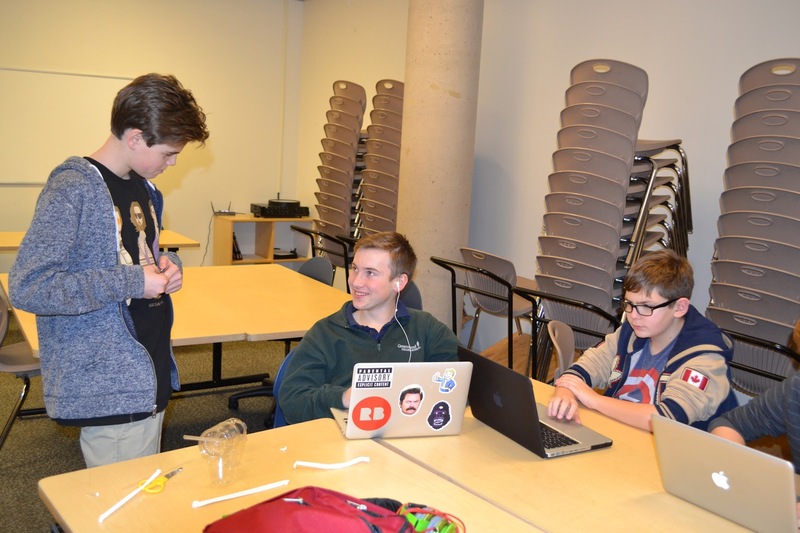 Grade 8 - WAPT (Water Action Project Toronto): In teams, students will create a proposal for Toronto City Council that focuses on improving water sustainability within the city. In creating the proposal, they will investigate the various ways people impact the physical environment and sustainability of water resources in Toronto, and use statistical data to support their ideas. The integrated projects are developmentally appropriate, sensitive, and encourage critical thinking skills. 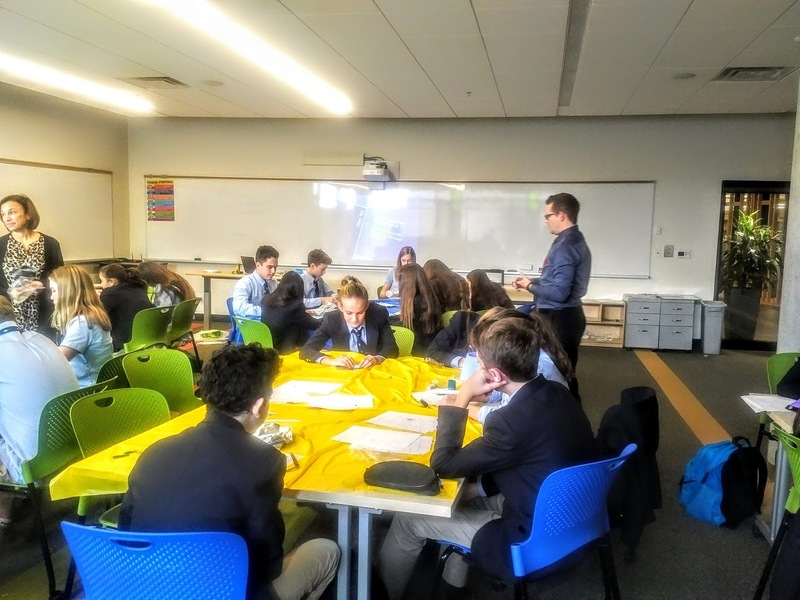 These projects are piloting an integrated approach for the Grade 7 and 8 program that could be extended into the flexible spaces in the new building in the future. 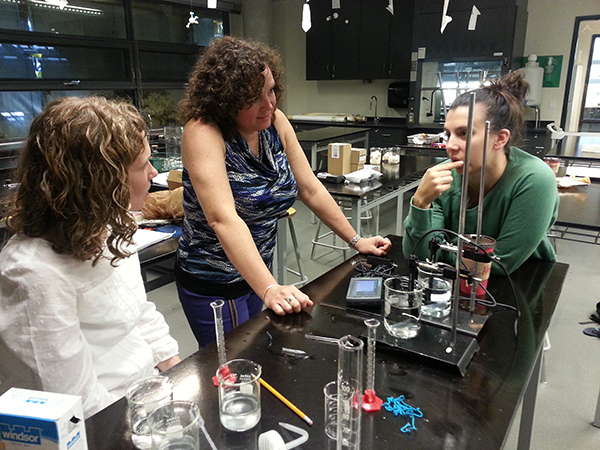 The opportunity for teachers to meet as a team for extended periods of time during the Summer Institute allowed for efficient and innovative programming to be created. Grade 7 and 8 teachers are excited to continue planning and building an authentic cross-curricular program for our students!